cryptonaut-in-exile: Rinderpest, an epizootic, is second disease to be declared eradicated. 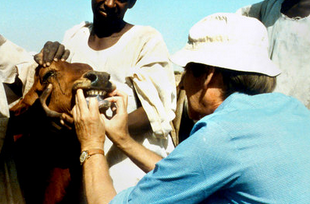 Rinderpest, an epizootic, is second disease to be declared eradicated. On Tuesday in a ceremony in Rome, the United Nations is officially declaring that for only the second time in history, a disease has been wiped off the face of the earth.